I have never appreciated honest product reviews more than I do as a first time mom. There are SO many options out there, and countless items to add to your baby registry; which can be very overwhelming. Being the planner that I am, I loved reading product reviews and gaining as much knowledge as possible from other mom’s so I can be as prepared as possible. I am really excited to be partnering with Babies”R”Us Canada over the next several months where I will be reviewing different products. I hope this will be a helpful resource for you as you enter a new journey of motherhood, or for all those already-mama’s who want an update on the latest products! I found it pretty difficult deciding on a new car seat. Everyone has different opinions on what is important to them, ie. Aesthetics, longevity, weight. Let’s be honest, having a baby is EXPENSIVE, especially for your first. There are so many items t you have to purchase, and they are not cheap! It all adds up, which is why you want to shop smart. Separate yourself from all the new fads, and find what is useful and necessary. If you are on a budget, or like to plan in advance, the Graco Extend2Fit car seat is for you. One of the biggest selling points of the car seat is that it grows with your child from 4lbs-65lbs! So rather than having to purchase two car seats, you get two for the price of one. It protects your rear-facing infant from 4-50lbs and your forward facing toddler from 22-65lbs. This car seat is all about your child’s safety and comfort. 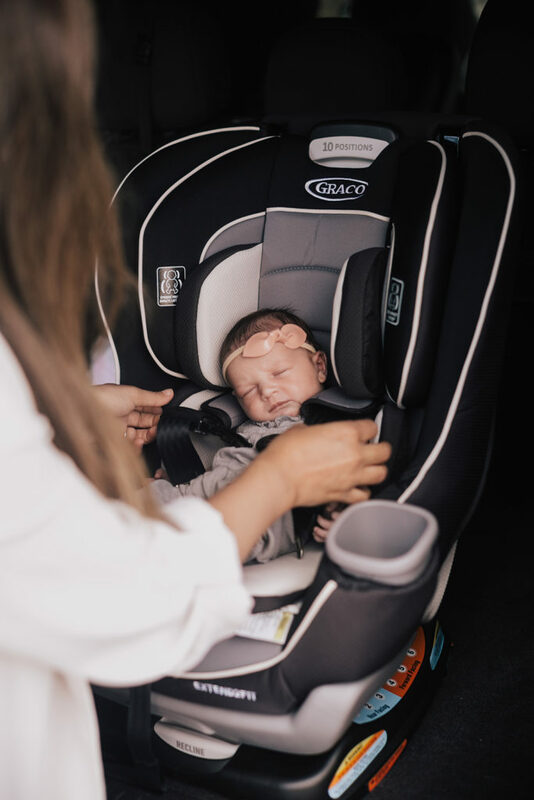 Its 4-position extension panel provides 5 inches of additional leg room, while its 6-position recline keeps your child comfortable for those long car rides. Last but not least, the Graco Extend2Fit 10-position headrest adjusts easily for your growing child. 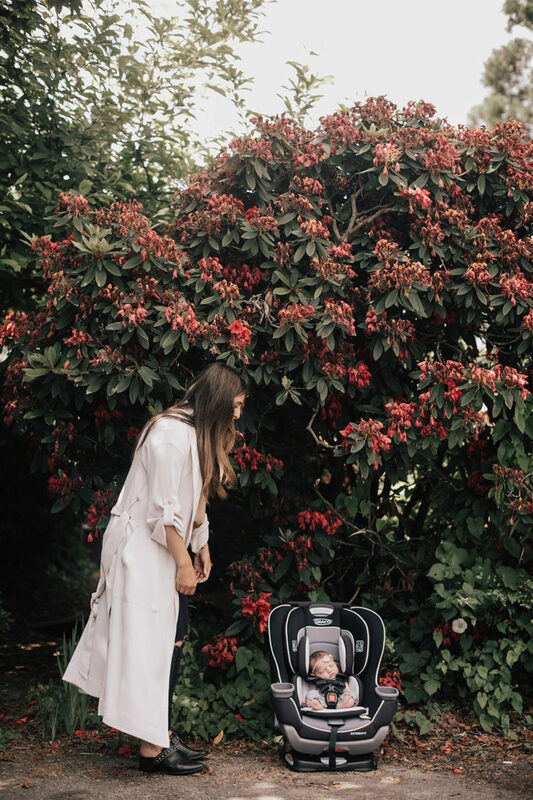 If you are a busy mom and find yourself attaching the car seat to your stroller, you should consider that the Graco Extend2Fit car seat is not mobile, and does not have a handle to take your newborn in and out of the car while staying in the car seat. 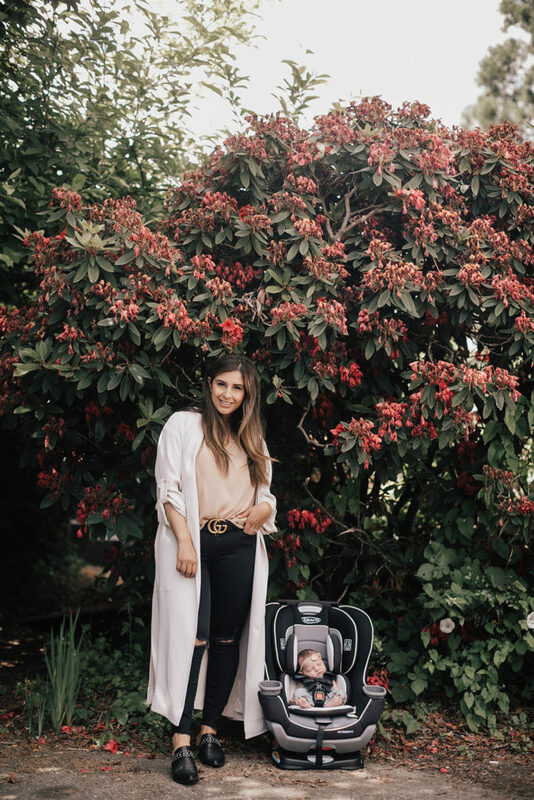 Dallas and I love roadtrips and going on adventures, we love this car seat because we know Evie will be super comfortable for those long drives, and I don’t have to feel guilty for leaving her in the car seat for long periods of time. I hope you all found this review helpful. For more information on the car seat, you can find it here. 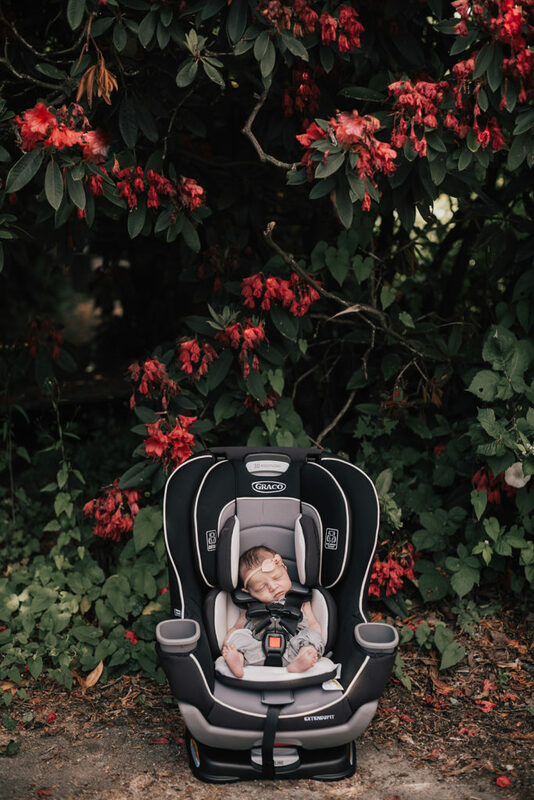 I’d love to hear your response and tips below on what you think of the Graco Extend2Fit car seat and what you are looking for in your car seat purchase.